Nestled between Central Park and 3rd Avenue in the northern part of Manhattan’s Upper East Side, Carnegie Hill provides its residence with a quietness and peace that often eludes the rest of the city. Accustomed to the tranquility and residential feel of their neighborhood, the people of Carnegie Hill have been searching for a moving and storage company that can bring some order to a stressful move or downsize. With Zippy Shell now serving affordable moving and storage to all Manhattan neighborhoods. Carnegie Hill residents looking for a place to put their extra stuff have found their ideal solution! 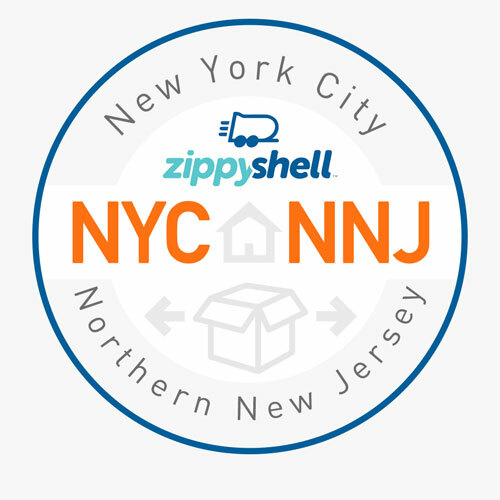 Nobody makes moving and storage in New York City easier than Zippy Shell! Mobile Storage in Carnegie Hill! The Neo-Gothic mansions, wood-framed houses, or charming brownstones have long attracted families with kids to the streets of Carnegie Hill. As families grow and accumulate more and more stuff, it can be impossible to find a place to put it all, especially in New York City. If you find yourself cramped in your apartment, call Zippy Shell, and we’ll deliver one of our mobile storage units right to your doorstep. After you or our expert team load your belongings into the container, our professional driver will take your portable storage unit to our secure, climate controlled storage facility. If you’re not sure about whether we can bring our Zippy Shell right to your front door, don’t worry! Unlike those of our competitors, our unique mobile storage containers are completely street legal, giving us unrivaled flexibility when it comes to parking. A Zippy Shell right at the foot of your townhouse stoop or tree-lined sidewalk, what’s more convenient than that?! BEST Moving and Storage in Carnegie Hill! After your Zippy Shell portable storage unit is loaded, our driver brings it to our secure, climate-controlled storage facility. Whether you need long term self storage or just a couple days while you stage your apartment - our self storage services are the most flexible in New York City! We can store your things for any amount of time, and you can rest easy with that knowledge that they are being kept safe and clean in our warehouse. Just give us a call, and we’ll redeliver your stuff right back to your door. It’s that easy! We can even move your belongings across the country with our amazing long distance moving services! No matter what your situation, Zippy Shell of New York City and Northern New Jersey understands that you want the best deal on moving and storage. Our unique portable storage solution will save you lots of time and serious money. Call Zippy Shell today to find out just how little it costs! Check out our New Jersey moving and storage services too!